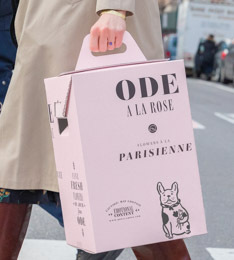 Same day Brooklyn flower delivery is now offered by Ode à la Rose, the florist with a French touch. Order flowers today from our Brooklyn flower shop and send a beautiful flower arrangement made by our Brooklyn florists. All of our flower arrangements are made with the highest quality blooms and hand-tied in our workshop. The arrangement is fitted into our signature purple box to maximize the impact of your thoughtful, luxe gift. Upload a photo with your arrangement to give it that special touch. Or not! It's optional (and free). We offer next day delivery throughout most cities in the Northeast. "My hubby sent me flowers from this establishment and I could not be happier, they are gorgeous!!! They came in a beautiful, vintage mason jar and smelled wonderful! I absolutely love them and will definitely have him order from here again!" "He loved the beautiful flowers! Thank you so much for not only putting everything together for me within only a few hours, but also for delivering them on time. I really appreciate it & will definitely use your services in the future"
"Amazing! I ordered the Pick Me Up roses for my girlfriend, to be delivered to her office, and I can honestly say I'll never buy flowers anyplace else in Manhattan if I can help it." "Really pleased with everything from the delivery guy to the presentation, to the greenery that was used in the bouquet (not tacky at all!). All of my girl-friends commented on the perfect simplicity of the arrangement and presentation." "I received a gorgeous, simple, elegant bouquet of a dozen red roses today for Valentine's Day. I have no idea how my boyfriend found this florist, but I'm genuinely SO happy he did." "The presentation is fantastic - the mason jar really adds a nice touch - and the flowers themselves looked great. Ode a la ROSE is head and shoulders above your usual run of the mill flower options in a class by itself! I had a happy, excited girlfriend!" Send flowers today to your loved one in Brooklyn with Ode à la Rose, the Brooklyn florist with the French touch. Our Brooklyn flower delivery service offers exquisite bouquets made with only the freshest flowers and delivered by our florists in our unique gift box. 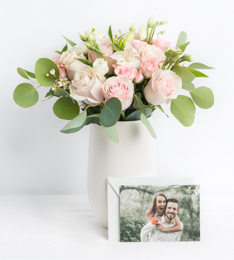 That’s not all: not only we’ll we send you via email a photo of the actual arrangement that was made so that you can see what your loved one has received but you’ll also have the option to upload a photo during checkout which we will print and deliver with your arrangement to give it that special touch. Best of all it’s free! 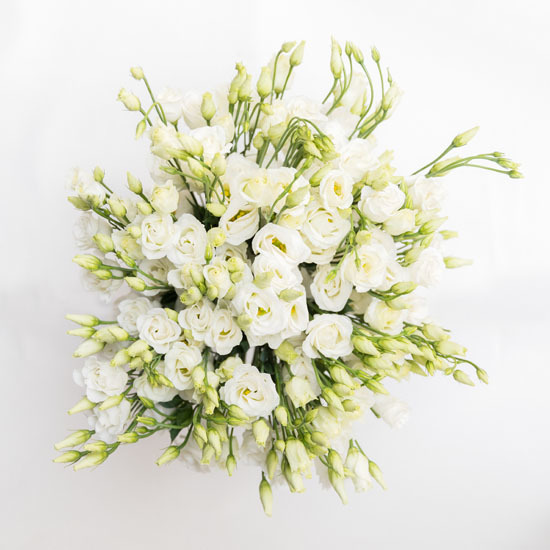 A Brooklyn flower delivery from Ode à la Rose is sure to be an exciting experience because our Brooklyn flower shop prides itself on ensuring that both our customers and their recipients are 100% satisfied. Don’t take our word for it! See why people love us on Yelp and give us raving reviews. Our wide variety of floral arrangements means you can order online the perfect gift for any occasion. Send classic red roses for an anniversary or a bright assorted bouquet for a loved one's birthday. Our flowers are ideal for thank you gifts, get well soon wishes, congratulating someone on a promotion, celebrating the birth of a new baby... we could go on and on! And if you forget to mark your calendar for Valentine's Day or Mother's Day, don't worry, we're pros at last-minute flower deliveries in Brooklyn. We offer same day delivery from Monday through Saturday to many Brooklyn neighborhoods (including Williamsburg, Dumbo, Carroll Gardens, Park Slope and many more!) with the choice of three delivery windows (9:00am to 1:00pm, 1:00pm to 5:00pm and 5:00pm to 7:00pm on weekdays). Our cut-off time for same day delivery is 3:00pm that day. We even deliver on Sundays with an order cut-off time of Saturday at 12:00pm. We also accept pickups at our Williamsburg location at 240 Kent Ave, Brooklyn, New York 11249. Orders need to be placed at least 3 hours in advance and pickups need to be scheduled in advance by calling our Brooklyn flower shop at (718) 414-6710. Pickups are available from 10:00am to 5:00pm from Monday through Fridays. Pick Ups cannot be accommodated on Saturdays and Sundays. 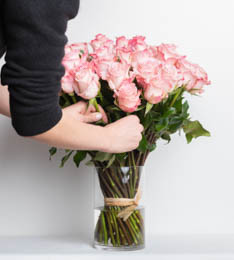 For anywhere in New York City, shop from our Flower Delivery NYC section for same-day delivery. New to Ode Ã la Rose? Thank you! has been subscribed. Use code BEAUTYFLOWERS for 10% OFF your first order. For new customers only. Offer valid for the next 48 hours.